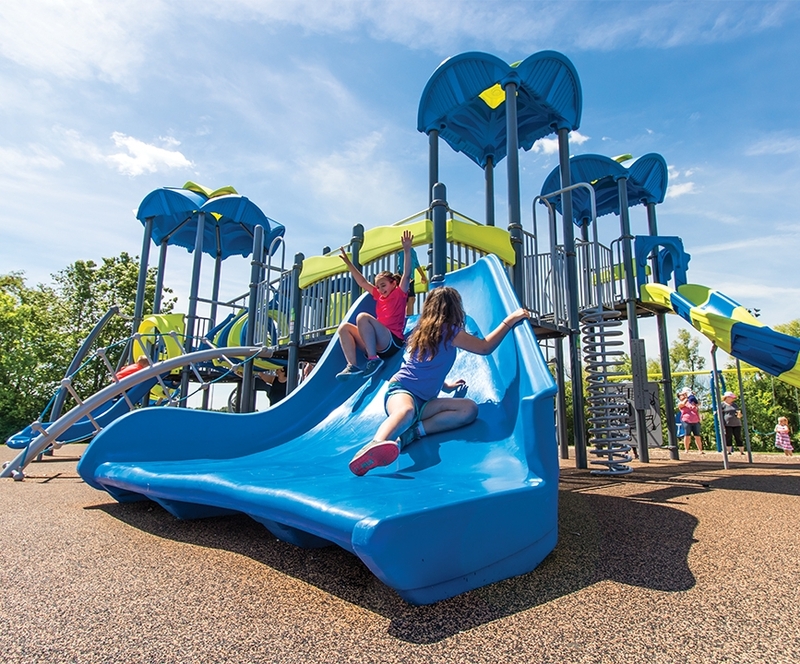 April is National Autism Awareness month; here at Liberty Parks & Playgrounds, we promote inclusive playground equipment which can appeal to all types of personalities. Our Sensory Tunnel, pictured above, can entertain children who might not feel comfortable on the more popular types of playground equipment such as structures with slides or climbers, where kids tend to collect and activities can be more boisterous. Additionally, our Ten Spin, on sale now, can provide a helpful interactive play experience for children with a need for a more stable and supportive position while riding. Our Avalanche Slide provides a ground-level transfer point and permits entering at ground level, climbing using the rail provided, and at the height at which a child is comfortable they can release and slide safely. Other inclusive options for children with mobility issues that preclude using the Ten Spin or the Avalanche Slide would be our Alta-Glider and our Inclusive Whirl.. We want to provide an opportunity at each playground for all children to become engaged and interact with each other and the equipment. If you're looking for some new equipment, consider adding some of these items to your playground. You can make a big difference to a child with different abilities! Newer PostDalessio Park gets underway!